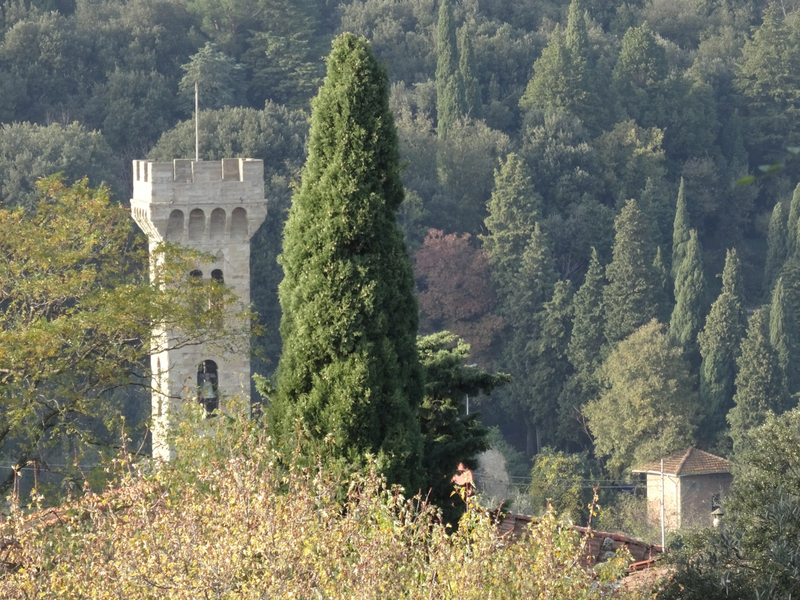 It took us about fifteen minutes by car to reach Fiesole from the centre of Florence. 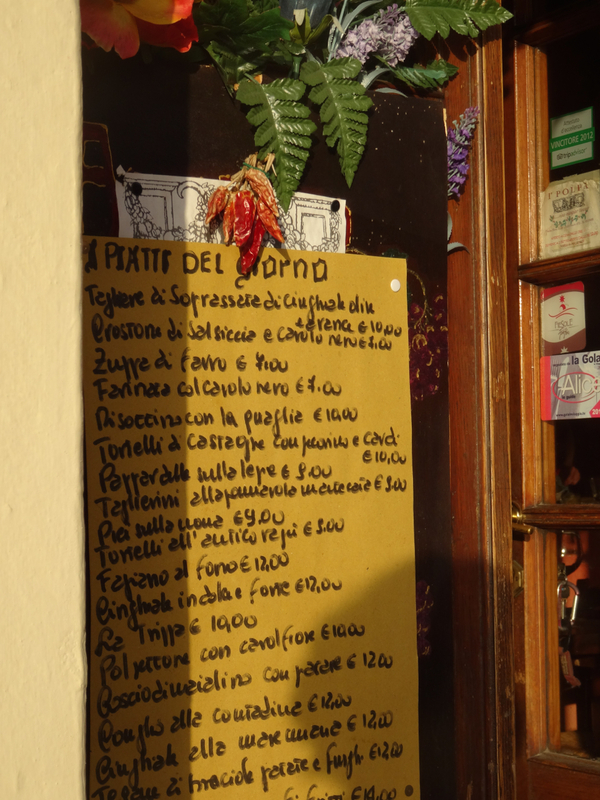 I’d first heard about the town from the blog Travelling Italy with Lyn and I knew it had what we all needed – urgent relief from art hotspots packed with tourists. 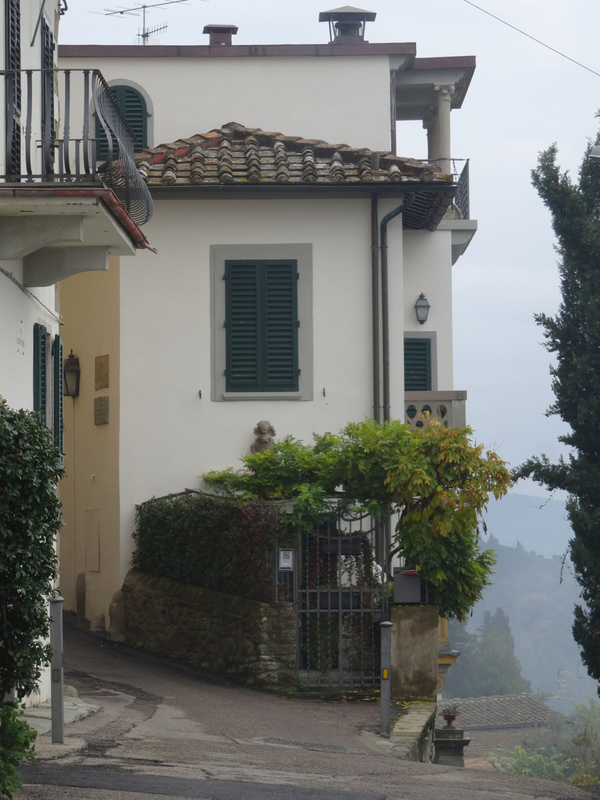 Fiesole did not let us down. Just the drive up through the lush vegetation to the main piazza seemed to calm the soul. It was easy to see why first the Etruscans, then the Romans, and much later the American architect Frank Lloyd Wright, felt so at home here. 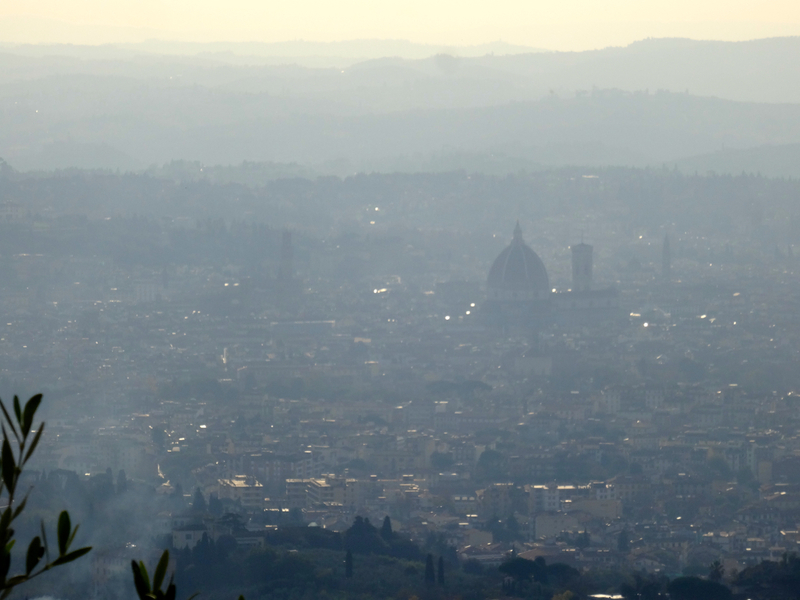 In the end we visited Fiesole twice – once on our way into Florence when the whole area seemed to have been swallowed by a soggy cloud; and again on our way out when the sun shone on Fiesole but a veil still clung over Florence. On our second visit, with its sunshine and miles of views, we bumped into a restaurant that served us a perfect lunch for a cold November day. 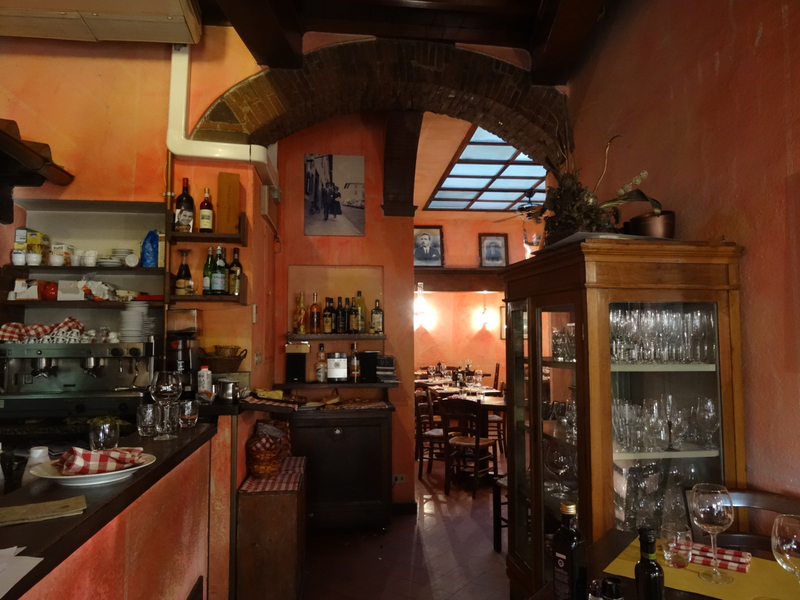 The meal was at the Ristorante I’Polpa – one of the few places open. We only discovered it because we spotted its menu by an open doorway which we then peered through to try to make out what we’d find without stepping over the threshold. The photograph above shows what we saw – it was warm and inviting and there was an instant welcome even though we were on the outside edge of the traditional lunch hour. That was how it began and that was what it felt like throughout the meal. We were in the hands of an accomplished family, with mum in the kitchen and younger members of the family front of house. I had the satisfying ‘zuppa di farro‘ and we were all shameless with the homemade focaccia, served helpfully in a basket that refilled itself. Everything felt just right. The family was friendly and the food fresh and tasty – there were no gimics, no flattery – just steaming dishes delivered well. It was excellent value. 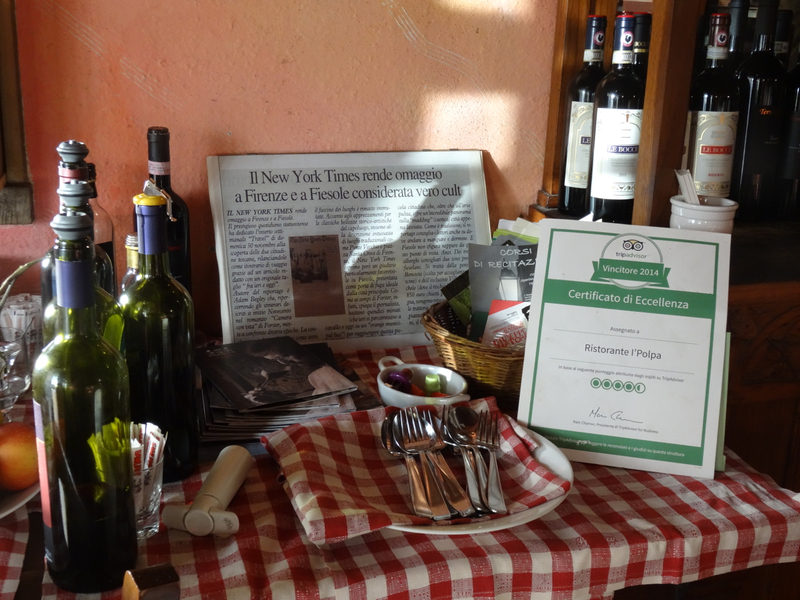 If you find yourself hungry and in Fiesole Ristorante I’Polpa is definitely worth looking up. 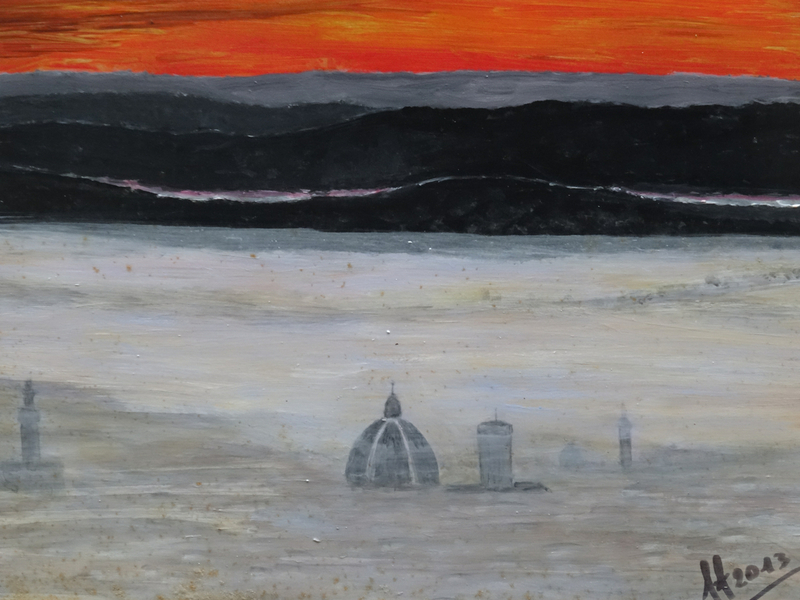 This entry was posted in Florence, Italy and tagged American architect, art student, Etruscans, Fiesole, Florence, Frank Lloyd Wright, Ristorante I'Polpa, Romans. Bookmark the permalink. What a trip … that restaurant sounds terrific! It was perfect – so lucky to bump into it.